While race season brings the biggest smiles, let’s face it – winter is evil. Withdrawals are enough to drive fans and drivers alike insane, as everybody just hopes the hundreds of days leading to the first event of 2018 disappear immediately (try 132 days of Saturday, December 16). But that’s where our Remember When…. package is set to help you out. YouTube is filled with plenty of videos of past features – which gives us plenty of ways to pass the time. 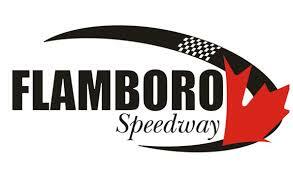 Take the Sauble Falls Tent and Trailer Park Late Model feature from Sunset Speedway on August 6. There were battles throughout the entire field, including a thrilling three-wide affair for second on Lap 1. It also ended with some drama, in a very close finish between Scott Wylie and Mike Bentley. So what’s 0.159 seconds look like? Have a look for yourself, with the race report from the night included below. The second feature started out in dramatic form with Scott Wylie, Ryan Kimball and Thayne Hallyburton going three-wide for second for a whole lap behind Tom Walters. They’d sort it out cleanly, however Chris Morrow wasn’t dealt the same fate. He’d make significant contact with the turn three wall on Lap 4, resulting in heavy damage to his car. With four laps on the board, it’d be Walters leading Kimball, Hallyburton, Wylie and Billy Zardo. Walters continued to lead following the restart, but it’d be Wylie on the move as he’d make it up to second before the second caution flew at Lap 14 for Justin Holmes spinning, with John Lockhart hitting him afterwards. The cautions continued flying, with a third yellow flag four laps later for Lane Zardo spinning in turn one and Nick Goetz going through the grass after the field got bottled up. While the drivers mid-pack battled, so did the drivers at the front of the field as Walters and Wylie went to war for the lead. Wylie got the jump on the Lap 18 restart, with Walters slipping back to second. Walters then slid up in front of Bentley, resulting in Bentley getting into the back of Walters, sending Walters down across Holdaway’s nose, causing Walters to get sideways and hit the inside wall fairly hard. He’d eventually slow to a stop in turn three. With this recent shake-up, Wylie still held the lead with Bentley second ahead of Taylor Holdaway, Dwayne Baker and Hallyburton. There’d be one quick more quick yellow on the night with Jordan Howse spinning in turn two to set up a five lap dash to the checkered flag. Scott Wylie was able to grab the advantage, beating Bentley back to the line by 0.159 seconds to put the No. 44 Holdaway Automotive, KartStart.ca, Bay Auto & Truck Parts, Wylie Racing Performance, Streamline Race Products and Double Clutch in victory lane for the first time at Sunset Speedway. Notably, Bentley’s runner-up finish marks his best finish of the 2016 thus far. Taylor Holdaway finished third for his 13th top-five of 2016, followed by Dwayne Baker and Travis Hallyburton. Thayne Hallyburton finished sixth for his eighth top-10 of 2016, followed by Gord Shepherd, Lane Zardo, Ryan Kimball and Justin Holmes. Tom Walters finished 11th, followed by Tyler Liscum, Billy Zardo, Al Inglis, Danny Benedict, Jordan Howse, Brittney Gresel, Paul Maltese, Nick Goetz and Adam Martin. John Lockhart finished 21st, followed by Chris Morrow.